A versatile battery powered portable edge light that complies with NATO STANAG 3534. The OREL is radio controlled and emits both visual and NVG compatible light making it suitable for use during non-covert and covert operations. 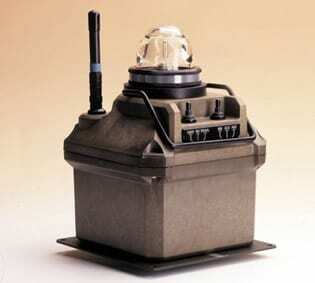 For increased stability when deployed the units can be mounted on individual base plates that are anchored to the ground ensuring resistance to jet blast. Two 12V sealed lead acid batteries contained within the lights provide thirteen hours continuous operation when used at maximum intensity. The units can be charged, without removing the batteries, either on the MOSKIT trailer or by means of a freestanding battery charger. 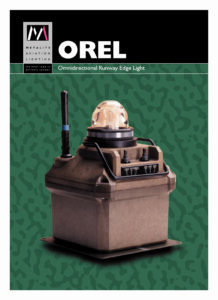 The OREL is an integral component of the MOSKIT portable airfield lighting system and is used together with PAPIs and UALs contained within the MOSKIT trailer to create a 1500m minimum operating strip.